is part of the three-building River Drive Center office complex. 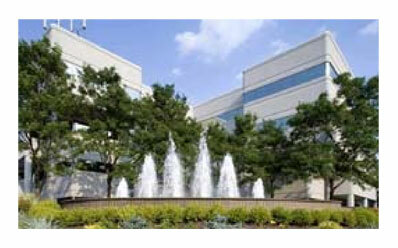 Accordia Realty Ventures has acquired the River Drive Center II office building. Located in Elmwood Park, the four-story, 85,OOO-square-foot building is part of the three-building River Drive Center office complex, which contains more than 250,000 square feet of Class-A office space. River Drive II's tenant ros­ter includes such well-known cor­porations as Met Life and Em­deon (formerly WebMD). River Drive sits between 1­80 and Route 46, with immediate, four-way access to both. 1-80 and Route 46 also provide access to the Garden State Parkway, which is 0.5 mile east of the site. "We were pleased to be able to acquire a property that combines the quality of this building with unmatched high­way access in a vibrant market," said Jason Bogart, Accordia prin­cipal. "This is a growing market with high demand because of its highway network and access to the many residential communities of Bergen County and New York," said Accordia's Joseph Romano. "We have access to every amenity a corporate client could want. Proof of the market's strength is the new development going up di­rectly across from River Drive Center, which contains spec office buildings, a hotel, banking and res­idential development." Added Bogart, "With the quality of the building and strength of this market, we think that River Drive is a perfect addi­tion to our portfolio." With headquarters in West Orange, Accordia Realty Ven­tures, LLC targets investment op­portunities in undervalued, high­grade, income-producing commer­cial properties. The principals have built a reputation for com­pleting a wide spectrum of crea­tive transactions throughout the Northeast, and have extensive background in the creation and de­velopment of smart growth, mix­ed-use, urban and redevelopment projects. © Copyright 2009 Accordia Realty, All Rights Reserved.